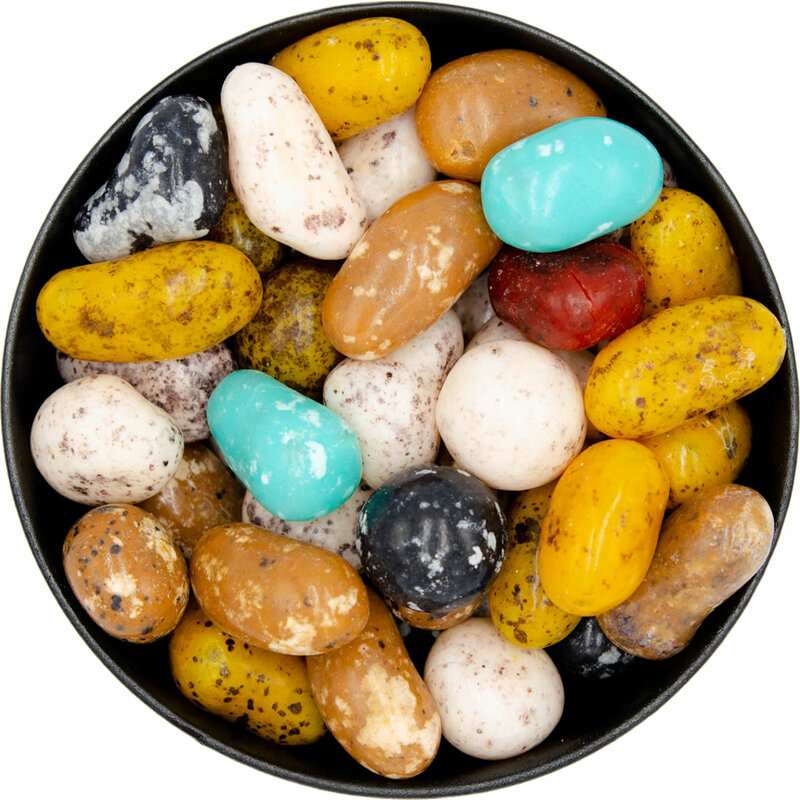 Candy Pebbles have a soft chewy center and a candy shell. These candies are artfully crafted to look like pebbles. 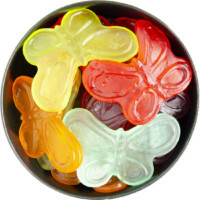 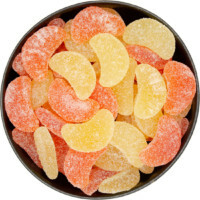 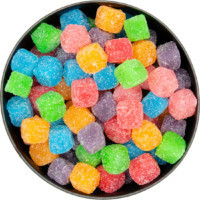 Flavours include wild cherry, lime, licorice, wintergreen, and pineapple. 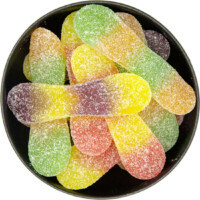 Sugar, Corn Syrup, Corn Starch Modified, Malic Acid, Glycerine, Confectioners Glaze, Carnauba Wax, Beeswax, Natural And Artificial Flavours, Titanium Oxide (For Colour), Yellow #5, Blue #1, Red #40, Yellow #6, Red #3, Caramel Colour, Blue #2 Lake, Yellow #6 Lake, Red #40 Lake.